Traveling comes with a few tiny concerns. We all hope to have a safe journey with no hang-ups – smooth transit. Hope to find a good hotel/hostel if you are adventurous or a good room if you’ve booked before hand. 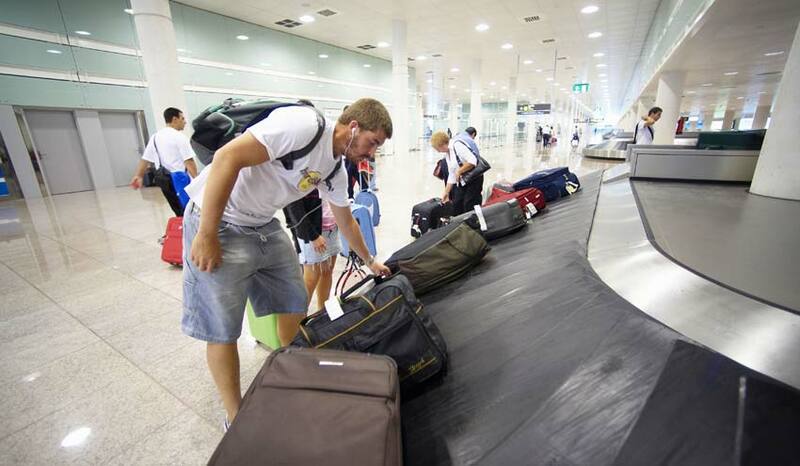 Furthermore, there is always the worry of checking-in your luggage at the airport or the concern for its safety while traveling by trains or buses. And the worst that can happen, is that you lose it. Losing all your valuables, your clothes and sometimes even important documents can spell the end of a good trip. And I came quite close to experiencing that on a recent visit to a foreign country. I was traveling with my brother by air (obviously) and our plane had just reached its destination. You know how people can’t wait to get off the plane? Well as soon as the Captain had switched to the ‘no seat-belt sign’, everyone was off their seats, crowding the aisle in the plane. But I never like doing that as sometimes you’re left standing there for a quite while – either due to some delay or some traffic on the tarmac. And I’m never in that big of a hurry to get off. I let the crowd thin away and then take my chance at it. However that wasn’t the best thing to do. We were the last ones to get off the plane. So by the time we’d reached the baggage carousel the crowd had already dispersed and it looked like it would be easy to spot our bags. My brother did spot his bag immediately but there seemed to be no trace of mine. However, there was this one bag, which was identical to mine except for a surfer keychain, and it was doing the rounds. So after waiting for a good 10 minutes we realized that someone else who probably had a similar looking bag was on his way out of the airport with mine. I was already imagining myself spending the next 2-3 days in the same tee and jeans and even worse the same underwear. So I asked my brother to wait there and keep a look out while I made a dash for a random stranger who was possibly getting out of the airport doors with my bag. I did think of running but I didn’t want to attract that kind of attention especially at an airport. However, it didn’t really matter. No matter how much I looked around I couldn’t spot anyone with my bag. And it looked quite suspicious snooping around at the airport. I was doomed I thought. I’d have to be sharing my brother’s clothes for the next few days. Eventually, I gave up my search and decided to return to my brother; only to find him chatting to a stranger. On closer inspection, I saw two identical looking bags and a relieved looking brother. The surfer dude in the shorts and dread-locks had realized his mistake and had come looking to repair the damage. I was so glad to see him. And vice versa. We were happy to have found each other’s bags and simply laughed at the misunderstanding. Now, I try not to be the last to get off the plane. Plus, I tie a few colourful ribbons around the bag handle so that it stands out.